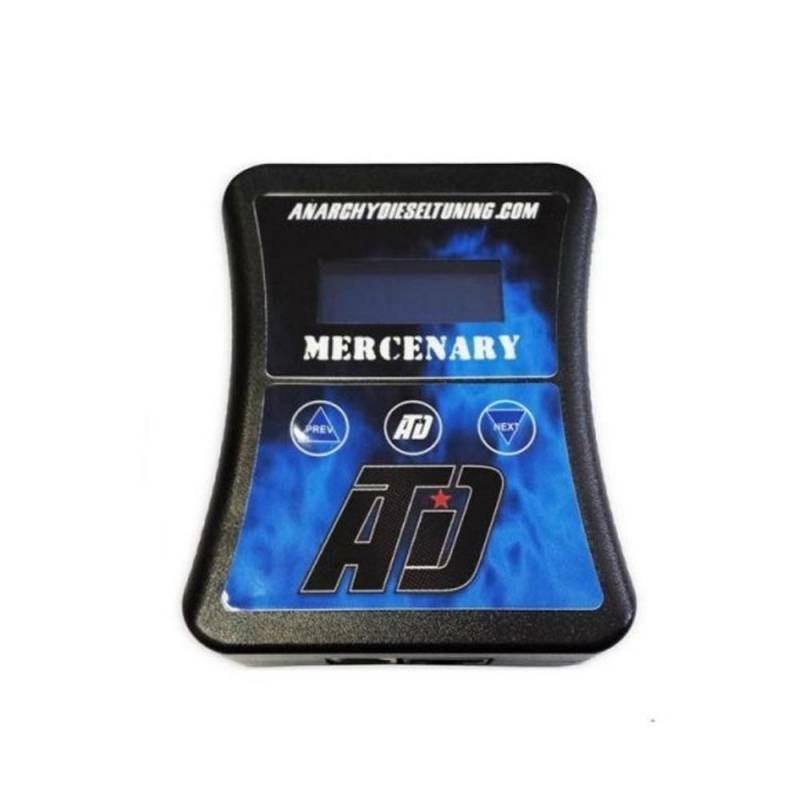 The Anarchy Mercenary Level II EFILive Autocal Tuner comes pretuned with 5 power levels for 2011-2016 6.6L GM Duramax LML pickups and Cab & Chassis applications. Installing the Anarchy Mercenary EFI Live Autocal Tuner is easy through your truck's ODB-II port and the tunes range from towing to extreme! The Anarchy Mercenary EFI Live Autocal Tuner is the ultimate power adder for Chevy Silverado HD and GMC Sierra HD pickups and Cab & Chassis trucks equipped with the 6.6L Duramax LML diesel engine! Once the Anarchy Mercenary tunes are loaded onto your truck, you can delete the CAT and DPF by installing race pipes or a complete aftermarket exhaust system and you can delete the EGR Valve and Cooler with an optional EGR Delete Kit. A lift pump is required to get the maximum horsepower gains out of the race tune.